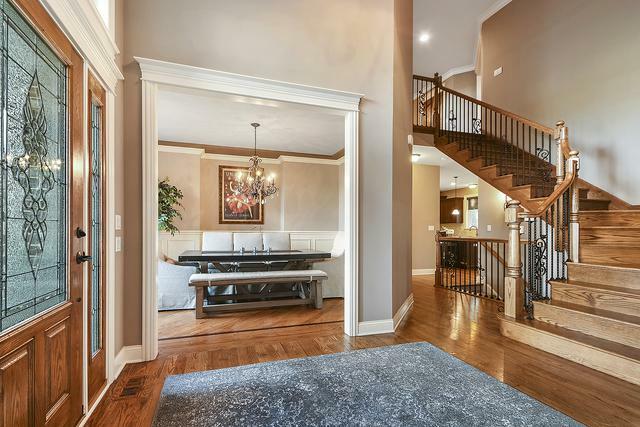 Impressive custom built Flaherty Model Home, sure to be your happily ever after, with masterfully crafted millwork including, hardwoods, designer ceilings, wainscoting & a sprawling staircase! 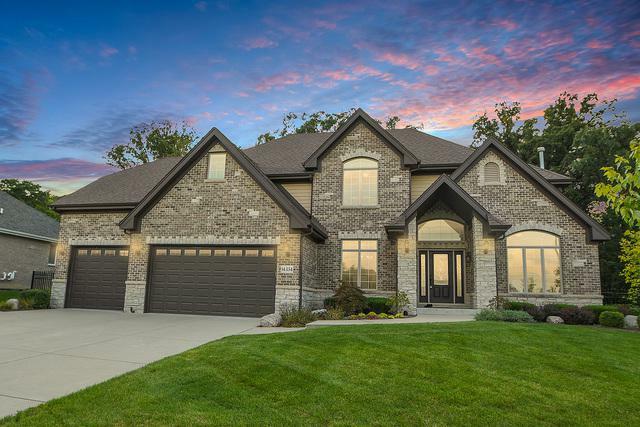 Stunning kitchen wrapped w/cherry cabinetry, granite counters, & stainless appliances. Gather the family at mealtime w/backyard wooded, nature views from every angle. 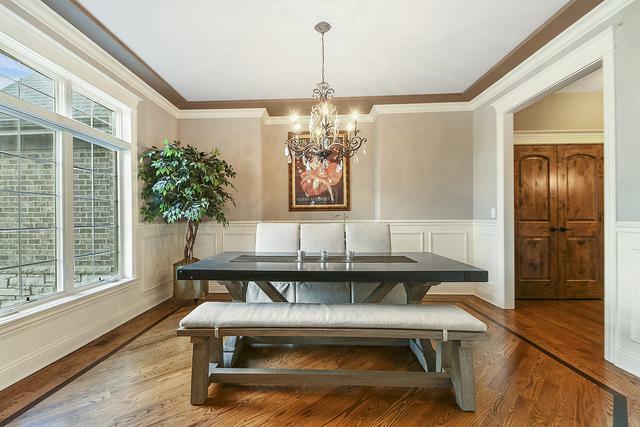 Adjacent family room w/coffered ceiling & stone fireplace. Outdoor entry to convenient 1st floor mudroom w/built-in lockers, laundry, & adjoining bathroom. Upper level master features a luxury bath & custom shower! Entertaining? Retreat to the lower level where the gorgeous bar area is more intoxicating than your favorite beverage! Backdropped by double door entry to a cozy sitting area flanked within a glass wine cellar! Additional huge rec. room for family fun w/full bath & 2 bonus rooms, including one w/Murphy bed! Backyard is huge, fenced & shaded w/mature trees! 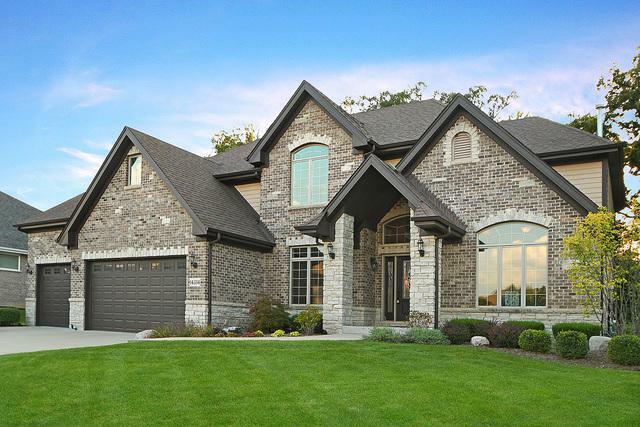 All within Orland Park's many amenities & award winning schools!